Providing you the best range of tool trolley, supervisor table and foldable trolley with effective & timely delivery. 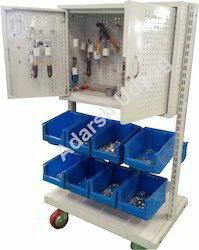 Tool cabinet with lock and trolley. having Arrangement for hanging of tools and crates bins. Cabinet plus record storage computer table mainly used by plant supervisor. Adarsh Udyog Manufacturers and suppliers of Supermarket Trolley in Delhi India our Retail store Trollies are available in Different Designs and sizes as per the requirement of Customer. 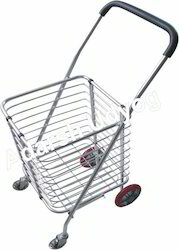 Adrash udyog Manufacturing trolley in Stainless steel as well as chrome plated assuring best quality Supermerket Trolley at very competitive prices. we are also Manufacturer of Industrial Platform Trolley which is widely used in Industrial warehouses. Looking for Tool Trolley ?